Mabwa community school has been completed. 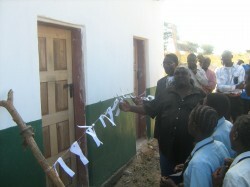 The school was handed over to the community on 14th May 2010. The handover ceremony was attended by the Response Network staffs, councilor, Chief representative, Teachers, parents and pupils. Mr. Sianchongwe Response Network Senior Facilitations Officer handed over the school to the community as shown in the photo on the right. 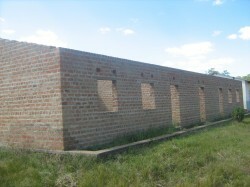 The community was so happy with the structure such that they were motivated to extend the school. They are extending the school to a 1×3 classroom block as shown in the photo on the left. The community has gathered upfront materials such as sand, stones and bricks for the completion of the school.